There has been a sharp rise in the total number of attacks on Christians in India in the past couple of years. For the first time, India was listed among the top 10 worst persecutors of Christians on Open Doors USA's World Watch List, which was revealed this week. "The world’s two most highly populated countries rise on the World Watch List. For the first time since the start of the World Watch List, India has entered the top 10," the watchdog group said, referring also to China, at No. 27. "Each of these countries is home to more than a billion people, so these trends are distressing. Hindu nationalists in India continue to attack Christians with what seems like no consequences," it noted. Radicals have often accused Christians of attempting to forcefully convert Hindus to their faith, which church leaders have continuously denied. 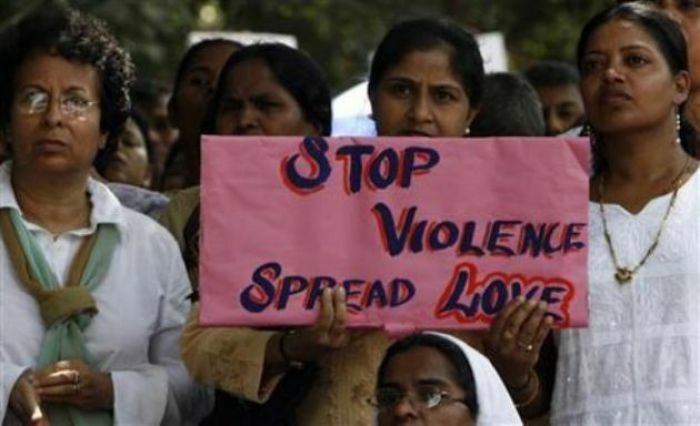 Pastor Selva Raj of Amathur village in India’s Tamil Nadu revealed that children have also been targeted in attacks, including one incident on Nov. 11 when a mob of 300 Hindu extremists destroyed a shed near a Sunday school class and warned pupils against attending. “They took away the Bible storybooks and some song and activity books from the children and tore them into pieces,” Raj told Morning Star News. "They scared the children away by telling them that they will be beaten up if they are seen in the church premises ever again."